Kolkata; affectionately known as the City of Joy, a pocket of the world that is home to the of poorest people residing in slums that line the streets, renowned for the saintly works of Mother Teresa and a place where a smile and gentle touch resonates love. Kolkata holds a special place in my heart after first visiting in 2012 on a volunteering pilgrimage with school. I promised myself that I would one day return and reunite myself with the colour, curries and most importantly children of Kolkata. Thank you to UTS BUild for helping to make it possible, I returned to India at the beginning 2014. Volunteering with Mother Teresa’s Missionaries of Charities; 19 homes run by dedicated Sisters who take in and care for the dying, destitute and abandoned people of society, I served in Shishu Barvan, a home for abandoned and disabled children and in the afternoon I attended Loreto Sealdah and played with the ‘Rainbows’. India has this crazy way of putting life into perspective, my eyes where opened to new experiences and my heart was filled with love from strangers. Mother Teresa quoted “we can do no great things, only small things with great love”, I whole heartily lived by this quote whilst serving, and forged very special relationships with a few of Kolkata’s little angels. When you first walk into Shishu Barvan the overwhelming smell of bubbling curry for the children’s lunches, tea tree oil to keep the nits away and dirty sheets and clothes takes your senses aback. But then you take a look around the small room that is lined with cots, chairs with pieces of cloth acting as makeshift cots and beds all with giggling children eagerly awaiting the morning songs, you realize that your morning can only be filled with rewarding experiences and deep affection. 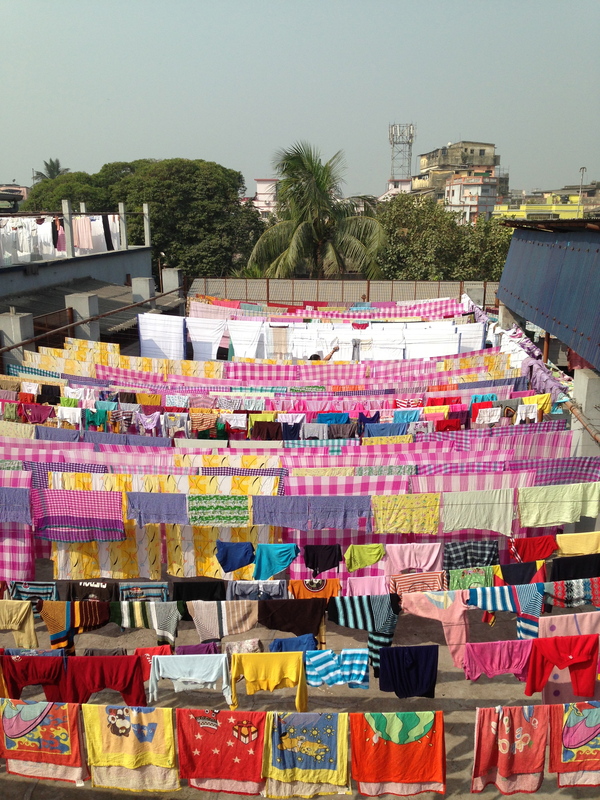 The first part of the morning is spent with the Sisters on the rooftop washing, rinsing, straining and hanging out all the children’s linen and clothes. 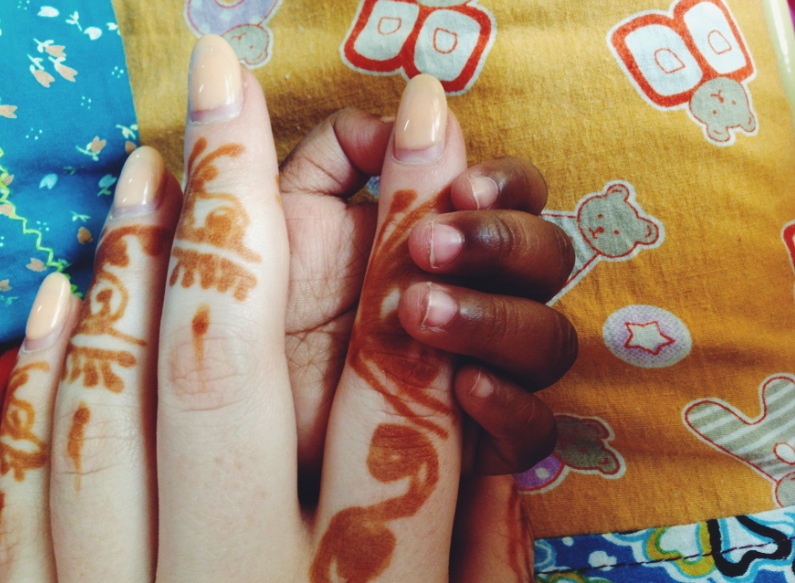 I formed a very close bond with a little 7-year-old boy called Raj. He’s body was the size of a typical 2 year old, yet his ability to sit up and grab allowed for the two of us to have lots of cheeky fun. He had a very quiet nature about him and never once cried- he only ever smiled and laughed. He was extremely fascinated by the curve and feel of my nails, something he’d enjoy whenever I held his hand. 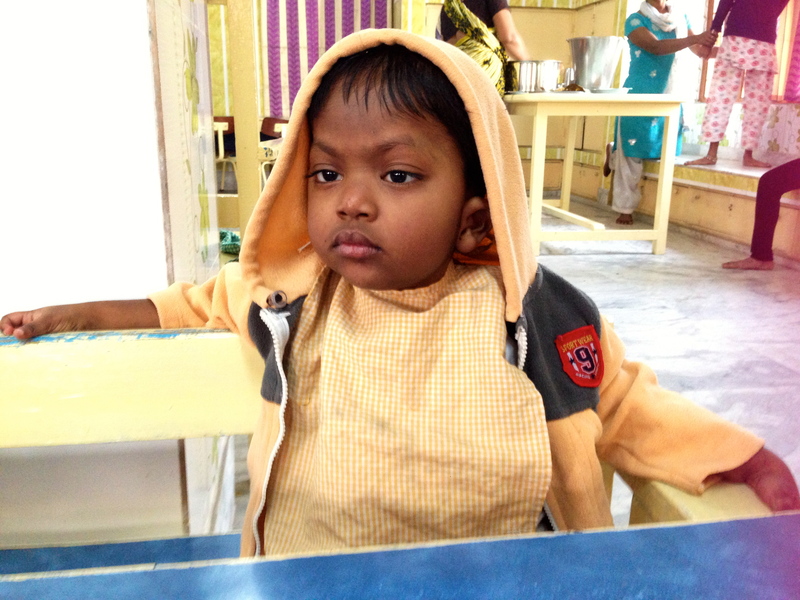 Whilst there are the not so nice jobs like changing nappies and washing dirty clothes, all the disabled children at Shishu have a spirit and light about them that is infectious. Loreto Sealdah is a prestigious Catholic Girls School in the heart of Kolkata; amongst the school of girls are a group of 90 girls known as ‘Rainbows’. Outsiders pay for these girls to attend school as they either have no family or would otherwise be too poor to receive an education. I spent my afternoons with these clever, dedicated and affectionate girls who live at school. Neha*, a 14 year old who was left abandoned by her mother at a train station when she was just 2 years old, spoke openly about the harsh world outside the walls of the school and about how she became a Rainbow. She wants to become a teacher and educate the children of the slums when she finishes school. She was very mature and knew so much about hardship yet still had such a positive outlook on the life. Celia a close friend of Neha, is a bubbly 11 year old who had the most beautiful smile and longest eyelashes, she lost both her parents and was now ‘mother’ to younger Rainbows. She loved to skip and her English was so clear. I loved sharing in conversation with her about my life and her extended family that lived so far away. Her passion for education inspired me to value my opportunities mores. Little Lidia, a charismatic 3 year old who stole my heart. She was always on the hip of Neha and had this crazy cute little smile. One day little Lidia was playing in the courtyard of the school and a man at the gate tried to bribe her to come with him with a chocolate; the true harsh nature of Kolkata hit me then and there as I cried for Lidia who could have so easily been taken if fellow Rainbows hadn’t been looking out for her. She has a band of sisters who will help her grow to become a strong, passionate young woman. The bittersweet nature of Kolkata had me crying, laughing and loving all throughout my volunteering journey. The little angels taught me that love can transcend all and that these friendships are for life. So young yet so wise, my Rainbows will continue to shine bright in my soul as I remember their cheeky laughs. 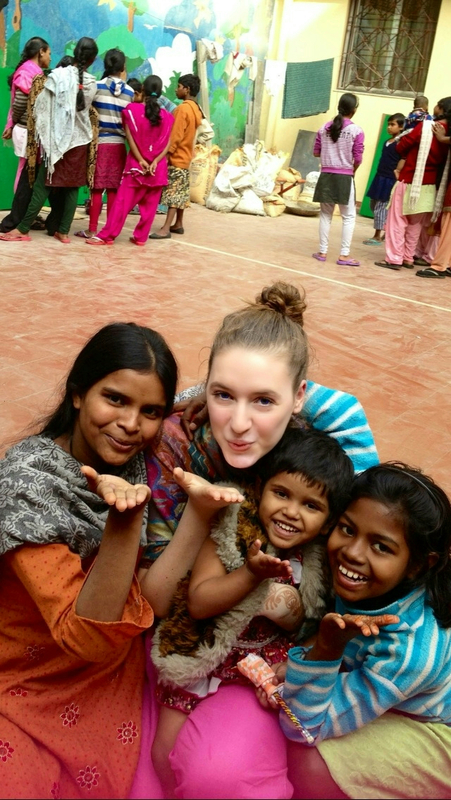 Rosalinde travelled to India to volunteer with Mother Teresa’s organisation with a BUiLD General Grant in 2013.